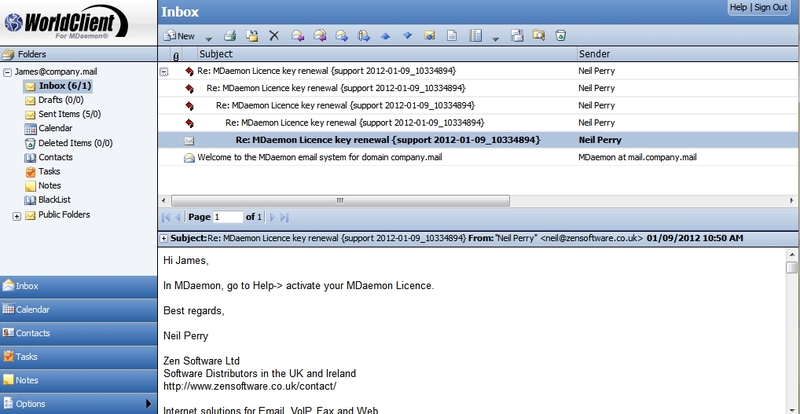 Did you know WorldClient can display email messages in a threaded view? This is useful if you find that your email message conversations bounce back and forth quite a bit and particularly if they span a long time frame. We find this to be the case with some of our support emails where we can be waiting on replies for customers for several days. By using the threaded view in WorldClient you can quickly see the full thread of the conversation and quickly find the information you’re after.